Hi Tomoe Project friends!!! We hope you all had a wonderful weekend! 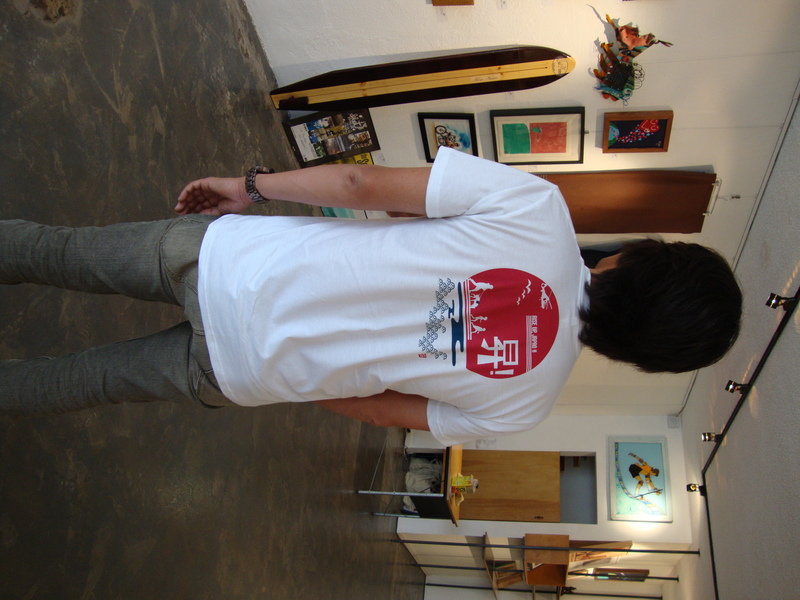 We participated in the fundraising event (which benefits the affected people in Japan) at Surfindian last night. 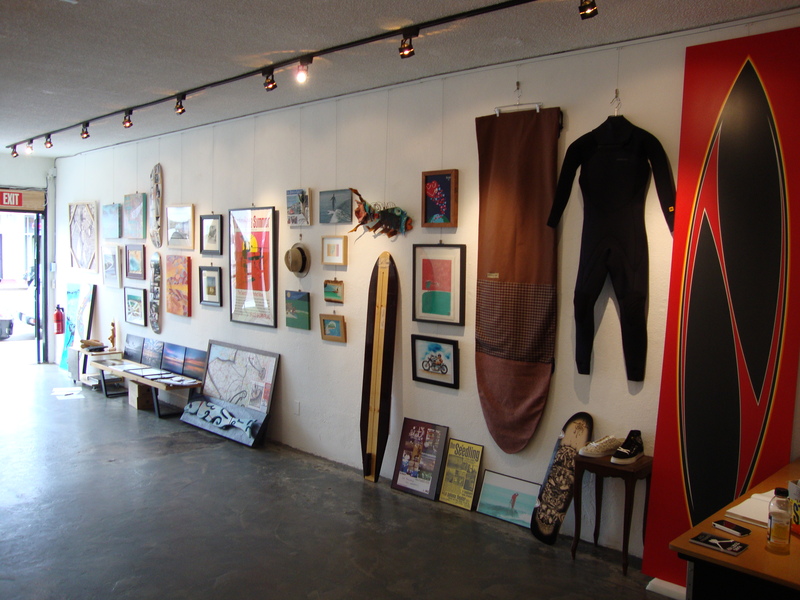 We had so much donations from San Diego surf community; surfboards, art works, photos, skateboards, and many more! 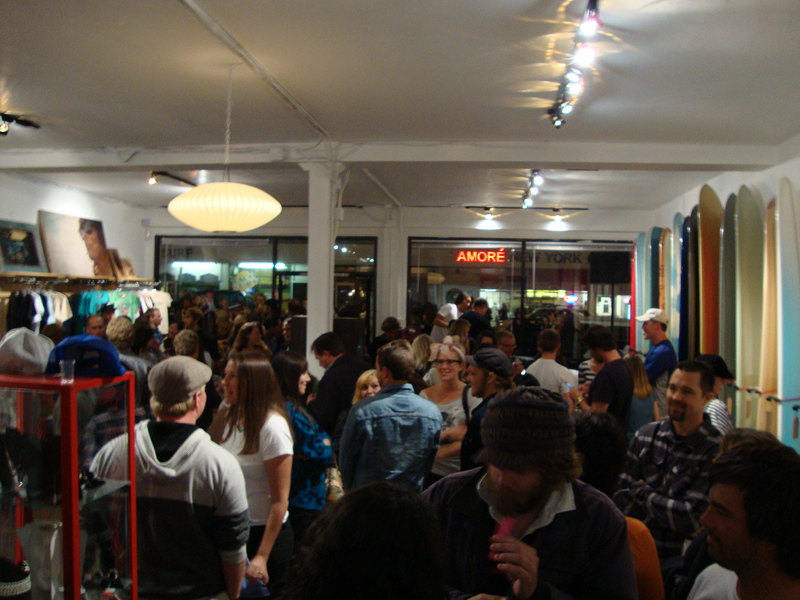 Look this picture, these are all donations from local shapers, artists, photographers, etc. Thank you very much for your support! We sold T-shirts, hats and eco-bags in the event. This is a Tomoe Project donation t-shirt! Looks cool? Many thanks to Surfindian, we had a table, selling our t-shirts and bags along with Hang Together t-shirts and Kookbox t-shirts. All proceeds from these items will be donated to U.S.-Japan Council and Japan Red Cross! It was very successful!! So many people came over for this fun fund raising event. Good food, good live music, good stuff for the auction and raffle, good vibe, and good people. Thank you all for coming to the event and sharing this special moment! We were very happy to see you all there! We will be out to sell our donation items at local colleges! We are going to visit Mira Costa College on 4/6! See you there?